The National Public Radio stated in March that Federal Officials warned "infections with 'Nightmare Bacteria' are on the rise in U.S. hospitals." Although there has been a lot of attention given to catheter central-line associated infections, a new study published in Medscape Medical News shows that infections after surgery are in fact the most common type of hospital acquired infection. This is important news for people with Chronic Kidney Disease (CKD) who require rather frequent mandatory surgical procedures for Kidney Transplantation, Arteriovenous Fistula, Graft, Peritoneal Dialysis Catheter, Chest Catheter or other necessary operations. Also, the weakened immune defense system and wound healing of CKD patients can lead to increased risk of infection in addition to their frequent need for surgical procedures. Specifically, the study found that the risk of acquiring a surgical site infection is 38% while a catheter associated urinary tract infection is 26%. What is surprising is that a central-line bloodstream infection was second to last on the list (12%), after C.diff (Clostridium difficile) and before ventilator associated pneumonia (2%). While it is impossible for CKD patients to completely eliminate their risk of a wound infection, there are some things that can be done to minimize it. Recommended Reading New Treatment To Combat Deadliest Infection In Chronic Kidney Disease Patients, But Is It Too Disgusting? Not washing hands continues to be a breeding ground for dangerous, preventable infections in hospitals. CKD patients have to take on some of the responsibility for ensuring that hospital workers wash their hands. KidneyBuzz.com knows that this can at times be awkward and intimidating but it is important to remind your doctors and nurses to wash their hands. What may be reassuring is that healthcare professionals welcome patients reminding them about "quality care" standards. Dr. William Bornstein, Chief Quality and Medical Officer of Atlanta's Emory Healthcare said, "What I think is particularly effective is when healthcare providers say, 'Hey, by the way, if you ever see me forget to do hand hygiene, would you remind me?'" Also, remind your medical team about pre-operative antibiotics. Most patients get antibiotics in the operating room, right before the operation starts. This should be part of the standard pre-op checklist that the medical team in the operating room completes before surgery. But you can help by asking your surgeon or anesthesiologist what their plan for antibiotics is, and reminding them if you have any medication allergies. Recommended Reading: Why the Catheter poses the Highest Risk for Vascular Access? If you are already feeling under the weather, do not have an operation if it is not urgent. Simply call your surgeon to talk about rescheduling your operation or other options. The skin of your incision needs time to rebuild its waterproof seal. Generally skin is sealed enough for you to safely get it wet in a shower after 48 hours. But soaking in a bath, pool, or hot tub within the first 10-14 days after surgery can break down your healing incision and let bacteria in. So limit yourself to showers or sponge baths until your surgeon says otherwise. Recommended Reading: Why Would Your Transplant Surgeon Reject a Kidney Transplant before You Are Notified? KidneyBuzz.com recommends that you take deep breaths as well as get up and move around. One of the worst infections you can get after an operation is pneumonia. It is caused by parts of your lung collapsing, usually because you are taking shallow breaths and spending the whole day lying in bed. As soon as you can, try to take good deep breaths several times every hour and as soon as possible try to get up into a chair or go for a walk. REQUEST YOUR $5.00 "NO BP/NO STICK: MEDICAL ALERT BRACELET TO PROTECT YOUR FISTULA AND SUPPORT KIDNEYBUZZ.COM. 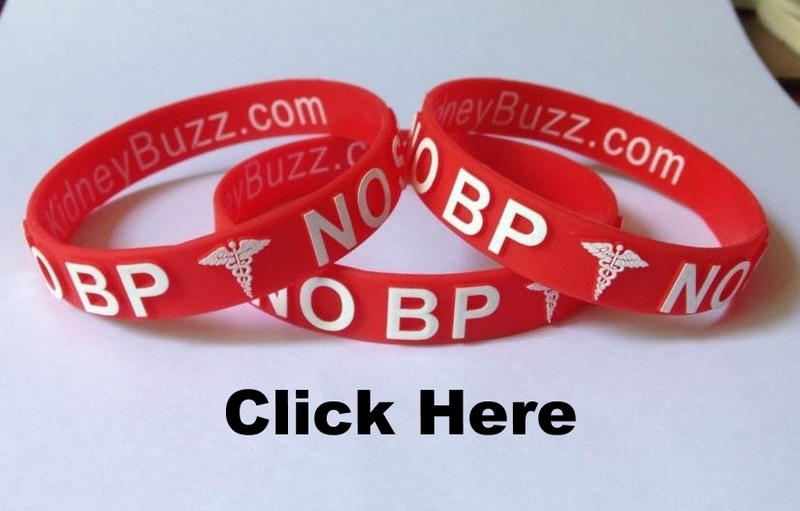 *Note: Do not forget to order your No BP/No Stick Medical Alert Bracelet! Kohler, Jonathan. "Patient Safety: What You Can Do to Avoid Infection After Surgery." Patient Safety: What You Can Do to Avoid Infection After Surgery.